I discovered (yet another) new Halal find. 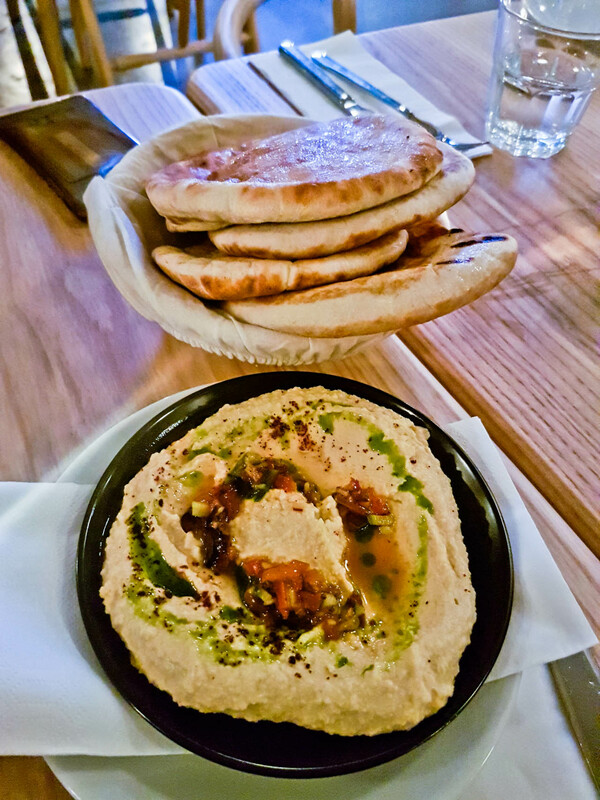 Last Friday I headed to@amber.ldn with my secret foodie club. 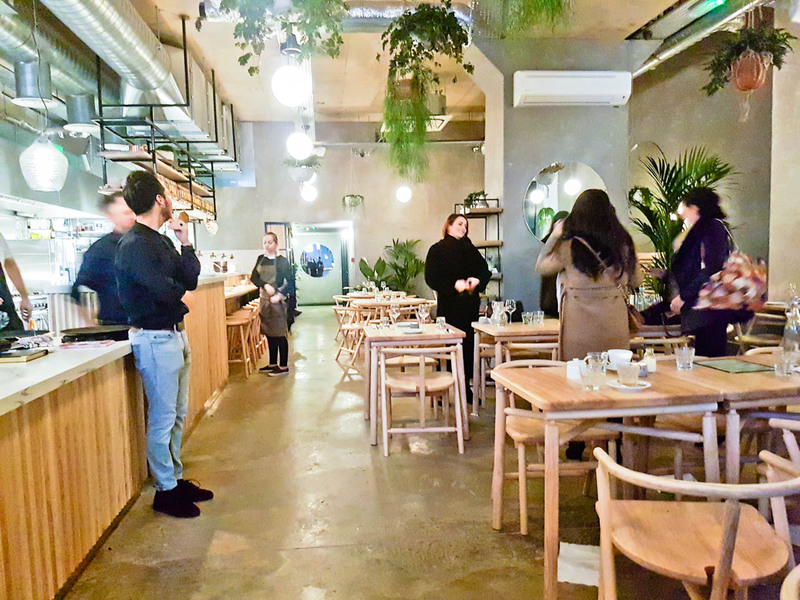 The restaurant had only been open for a few days and was offering 50% off all food during the soft launch. So the menu is still under development. 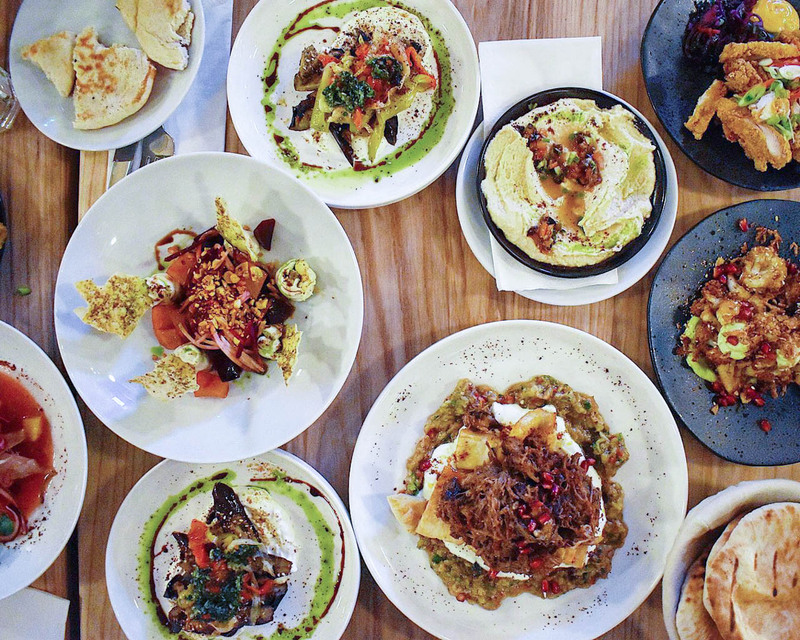 The food here is Middle Eastern flavours with a British twist. We ate a lot of food, but the stand out was the lamb shoulder and roasted cauliflower. The lamb had so much flavour and each bite was a delight. 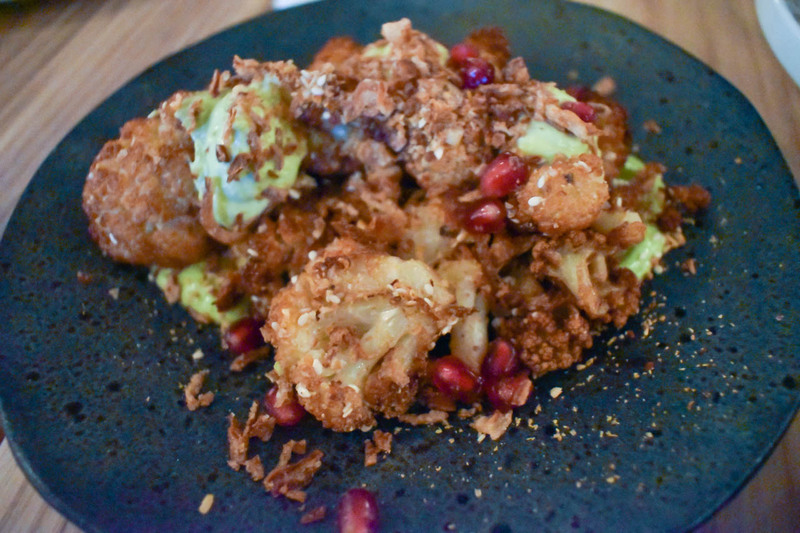 The cauliflower had a lot of depth of flavour and great texture. 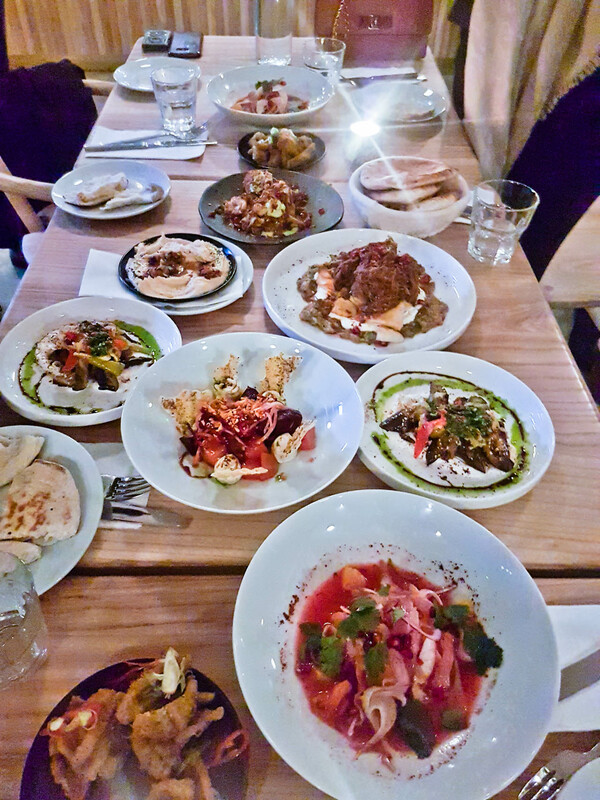 Also tried chicken thighs, calamari, aubergine, ceviche, lamb Pide and hummus. The chicken thighs, is basically fried chicken, not very Middle Eastern. 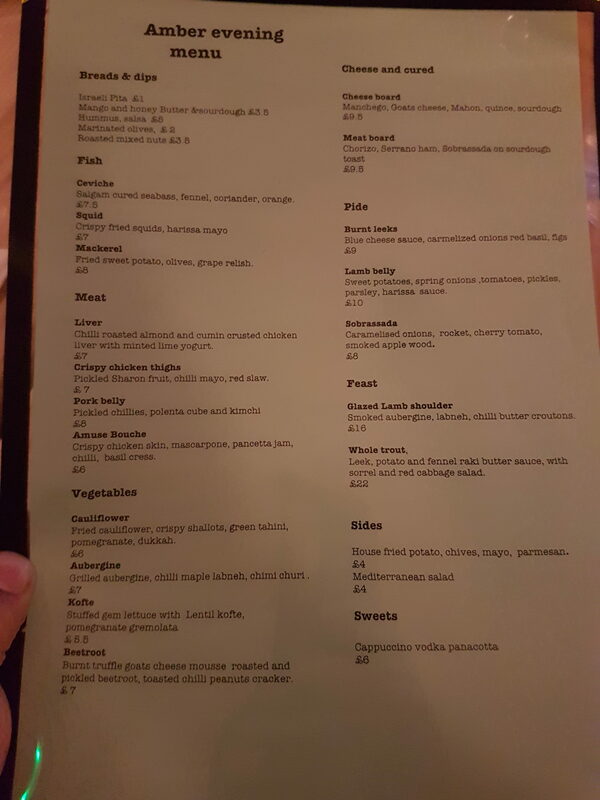 As this place is new and in it’s soft launch Im not going to review in detail. However, everything we ate was good, a few things need some tweaks, but this place is worth visiting just to try the lamb shoulder and the cauliflower, it’s that good! The chicken and lamb are halal. There are a few pork items but items are not cooked in the same area. Located in Piazza Walk, to the right of the cinema, it’s easy to miss. I went twice, on Friday with 6 people, then again with a friend on Sunday. I got 50% off. Value score is based on full price. 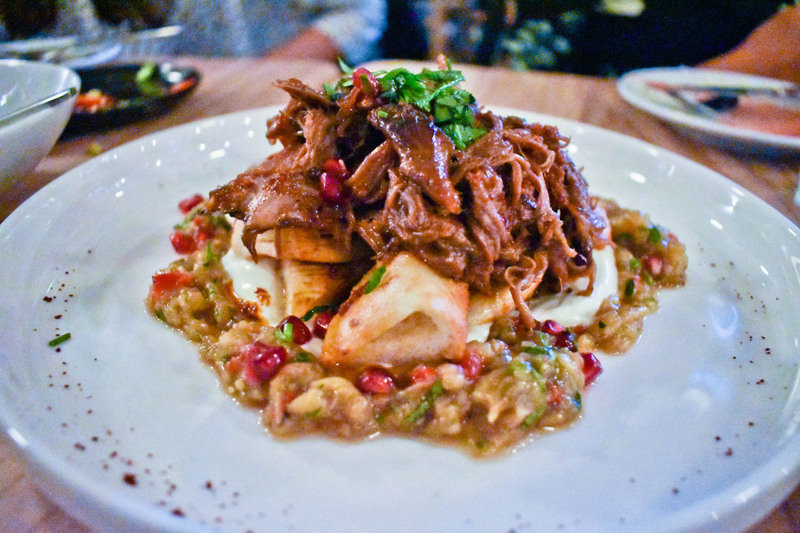 Get the lamb shoulder and Cauliflower!